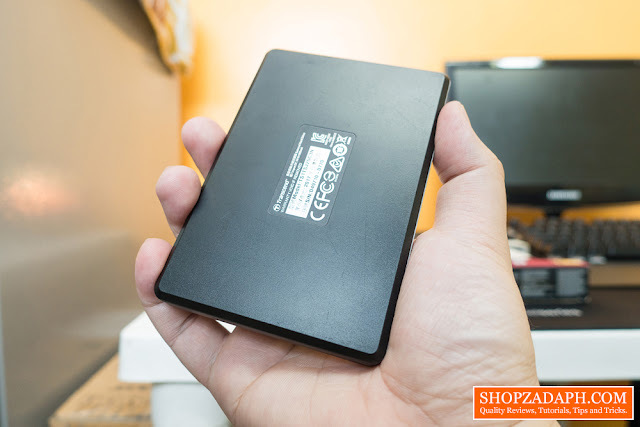 If you've read or watched my review and tutorial about the Transcend SSD230S you might have noticed that I mentioned the Transcend StoreJet 25C3N External Hard Drive and today, we're going to take a look at it further and see what's under the hood. Also, if you've been a long time follower of this website and my youtube channel you already know by now that I also own two Transcend military-grade shockproof hard drives that I also reviewed here. So it's only fitting that we check out another form factor, an extra slim one with the Transcend StoreJet 25C3N. 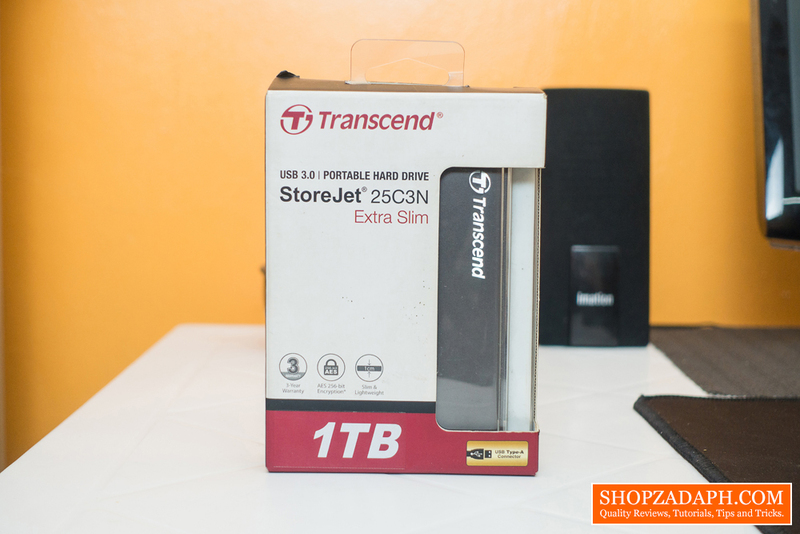 The Transcend StoreJet 25C3N comes in a windowed box showcasing the slim profile of the hard drive itself. 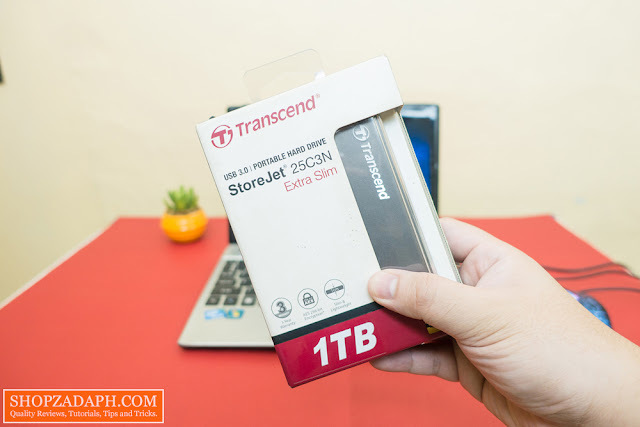 In terms of design and construction, the Transcend StoreJet 25C3N is solidly built with aluminum construction with a very smooth and cold to the touch finish. 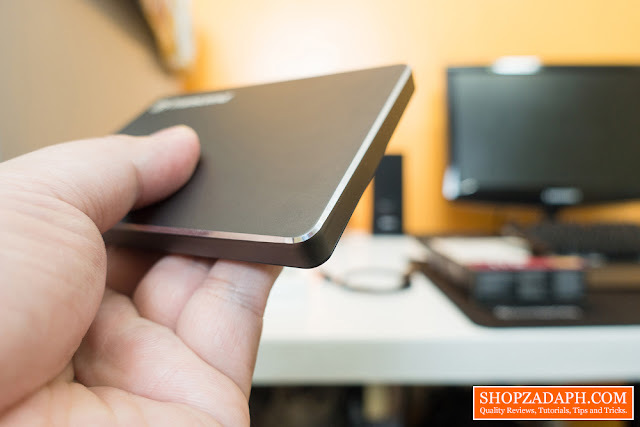 It also boasts a thinness of just 9.95mm with a weight of only 136g making it super portable. It also has a nice chamfered edges and embossed Transcend logo to complete the overall modern slim aesthetics. 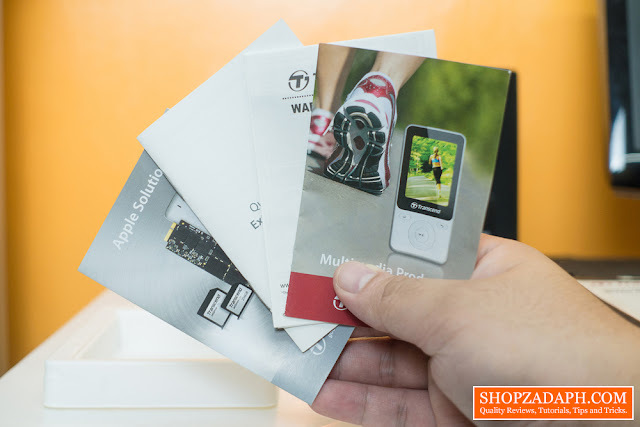 At the back, we have some product specific information such as model and serial number. 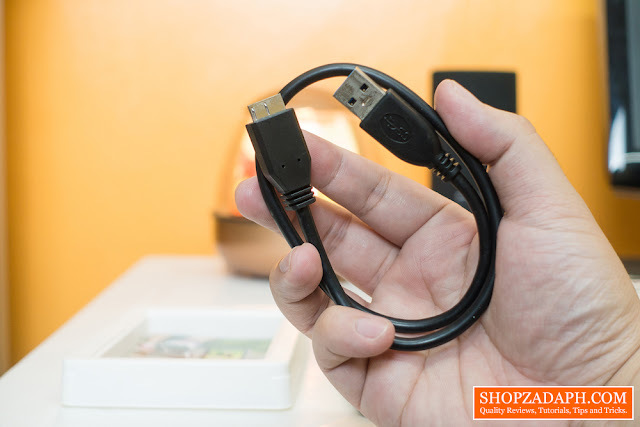 In front, we have the USB 3.0 Micro B port which you can use to connect your device using the included USB 3.0 Micro B to USB 3.0 Type A Cable. You will also see beside it the LED indicator. The Transcend StoreJet 25C3N comes with a very useful software in the form of the Transcend Elite. Inside the software, you can initiate backup and restore, encrypt and decrypt, as well as sync files. 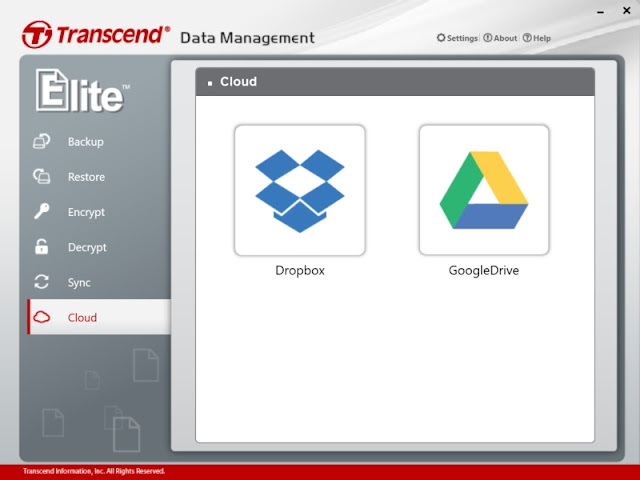 You can also backup your files on cloud storage services like Dropbox and Google Drive. 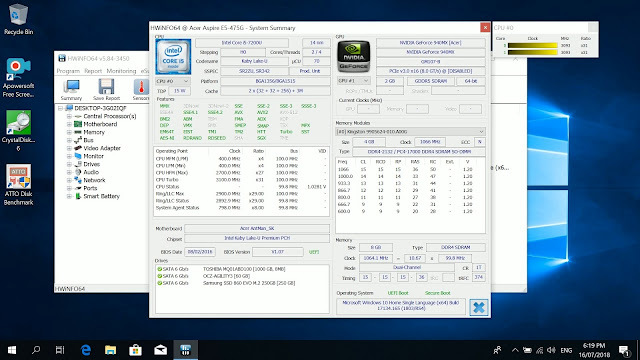 The results are rightly within the range of what you might expect from a 1TB mechanical hard drive. 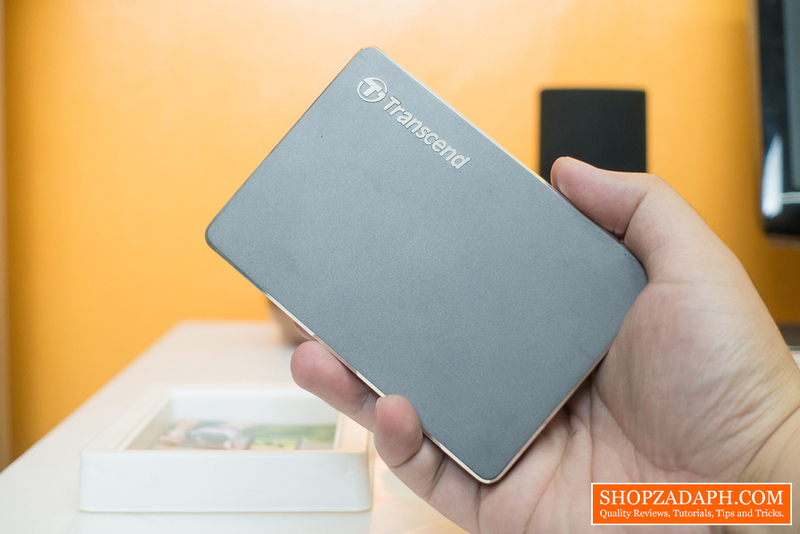 If you're looking for a slim and stylish portable device then you should consider the Transcend StoreJet 25C3N. 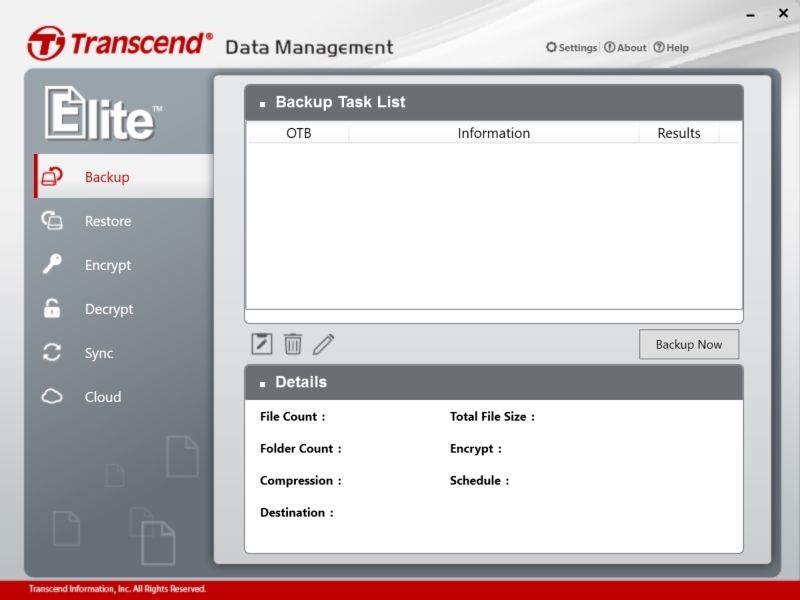 It has everything you need with included software to backup your files. For the price of just around 3000 Pesos, I think this is a good option. 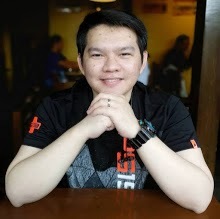 Thanks to Transcend for making this review possible, you can get this from their partner store on Lazada, link below.